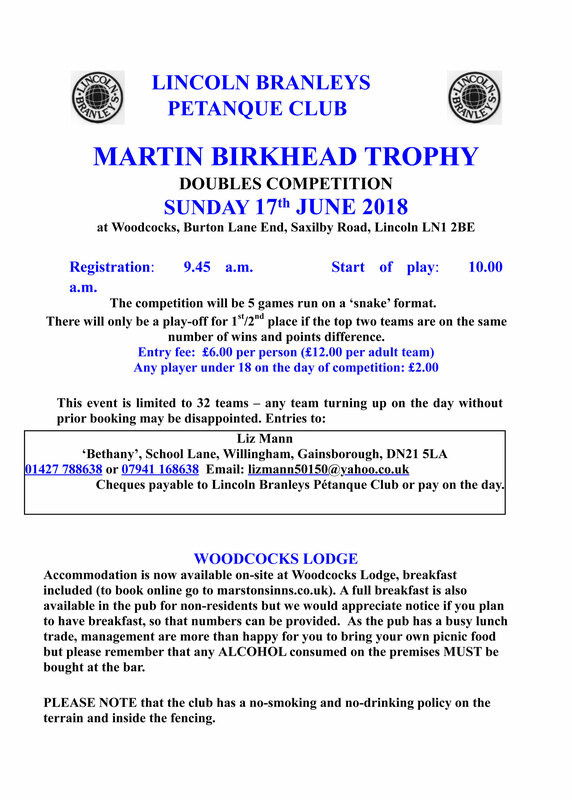 Please support our friends at Lincoln Branleys PC who are hosting the Martin Birkhead Trophy competition on the 17th June. 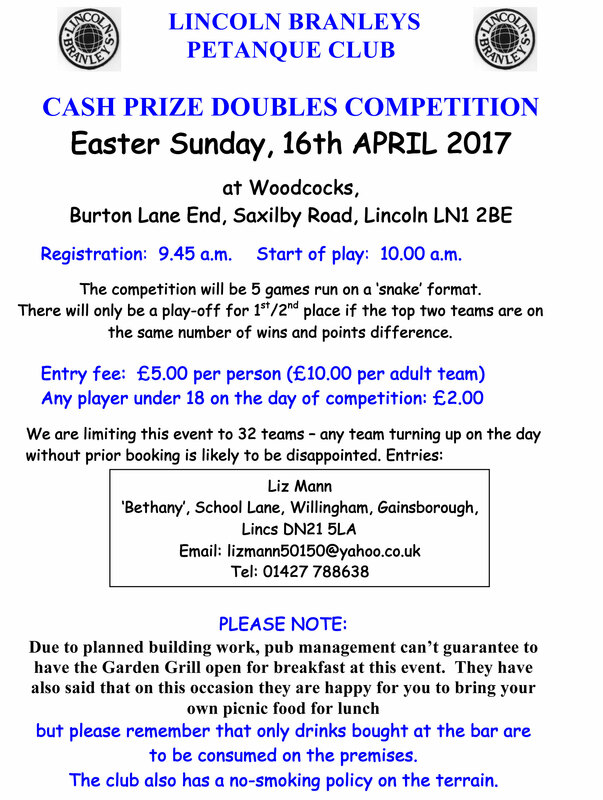 Please support Lincoln Branleys Easter Cash Doubles on the 1st April 2018. 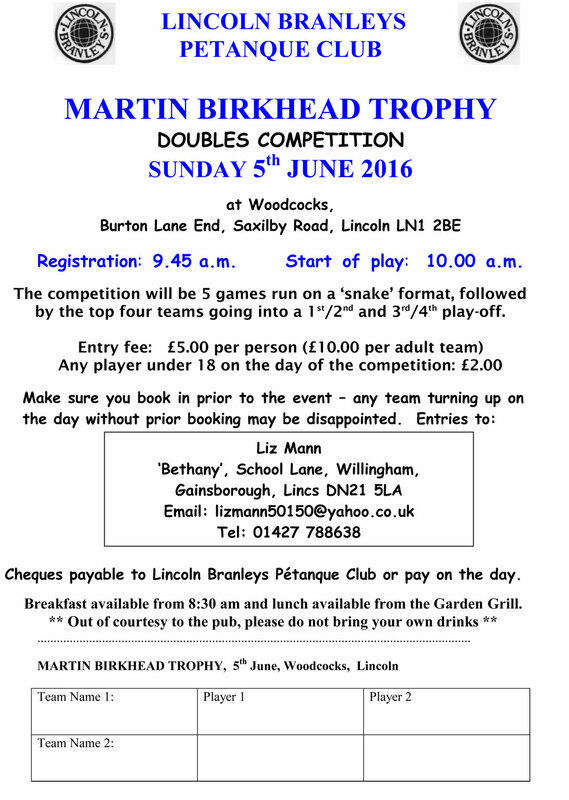 Please support our friends at Lincoln Branleys PC who are hosting the Martin Birkhead Trophy competition on the 18th June. Please note: Some building work in being done at Woodcocks, so parking is a short distance away from the pistes (Please see parking map). 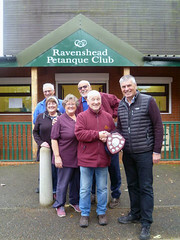 Please support our friends at Lincoln Branleys Petanque Club by entering their competition on the 16th April. 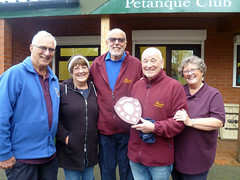 Lincoln Branleys Petanque Club are holding a doubles competition on Sunday, 5th June. 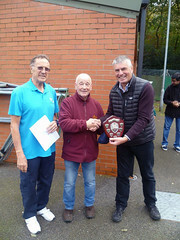 If you are free on the day and would like to enter, please contact Liz Mann by email or phone to confirm your entry.